Provides cover-to-cover full text for 35 national & international newspapers. The database also contains selective full text for 375 regional (U.S.) newspapers. In addition, full text television & radio news transcripts are also provided. Search and explore historic images and documents from dozens of Wisconsin communities. 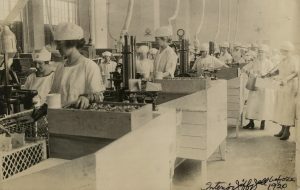 Recollection Wisconsin is a statewide consortium of libraries, archives, museums and historical societies sharing photos, postcards, maps, letters, diaries, museum artifacts and other state and local history resources online. 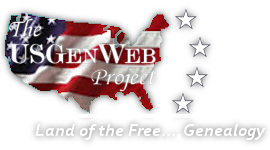 The US GenWeb, Organized by county and state, this website provides you with links to all the state genealogy websites which, in turn, provide gateways to the counties. In the fifty years between 1870 and 1920, Waukesha County grew from rural villages to lively cities and towns. The materials selected for this digital project depict many elements of Waukesha County history, primarily documenting the industries, people, and structures important to the development of Waukesha County. Many of the images come from the Warren S. O’Brien collection. O’Brien (1898-1988) was a prolific Waukesha photographer, and his work represents Waukesha County Historical Society’s most significant photographic collection. Wisconsin Digital Archives, a growing collection of electronic state documents available in full-text. Search or browse selected documents primarily covering 2001 to current. The Wisconsin Historical Society, research portal offers databases, indices and inventories of genealogical and historical material. The portal also offers links and lists of other catalogs and resources for researchers.